South Korea leads the world as the home of the planet's fastest Internet, followed by Japan, Hong Kong and Switzerland. 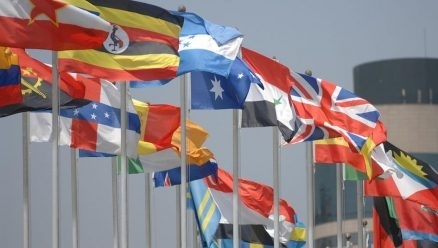 The United States makes the cut, but not until further down on the top 10 list — finishing at No. 9 with speeds of 8.6 megabytes per second (compared to the average Internet speed of 14.2 megabytes per second in Q1 of 2013). 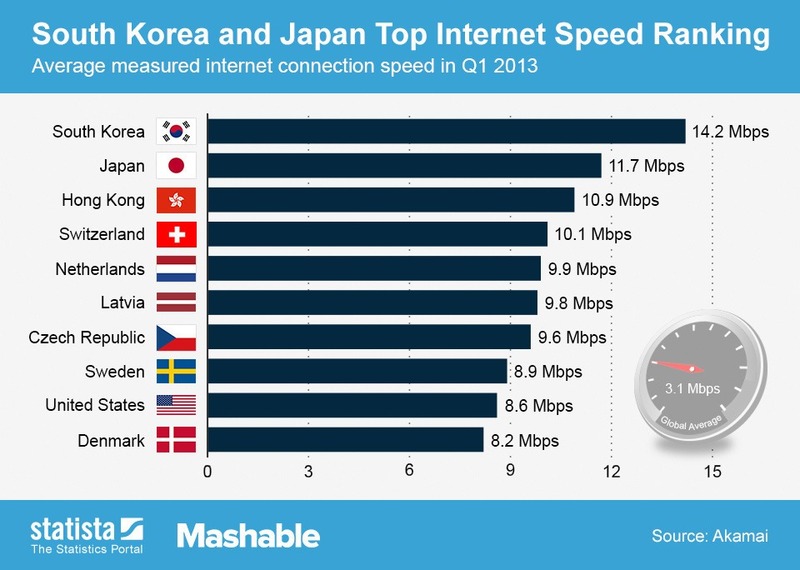 This makes South Korea's Internet speed 65% faster on average than speeds in the U.S.
Statista's chart below chronicles the world's fastest Internet speeds.